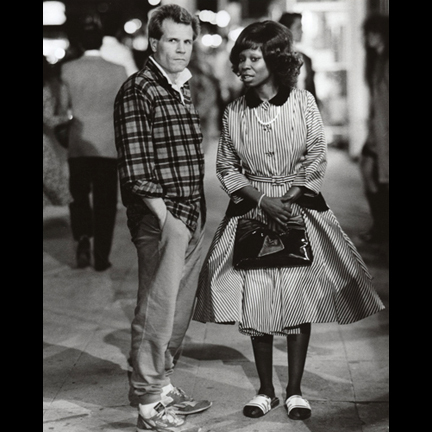 This dress was worn by the character Rita Rizzoli portrayed by the actress Whoopi Goldberg in the 1987 motion picture Fatal Beauty, which also stared Sam Eliot. 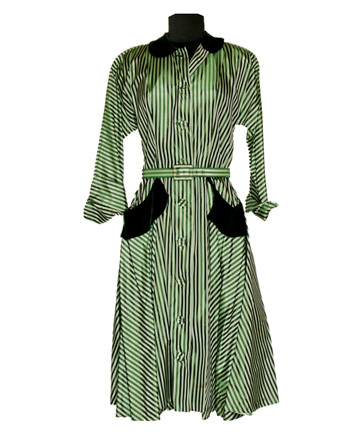 The dress was custom made for Ms. Goldberg and was constructed of a green and white striped satin. This dress was acquired directly from the production company after the film completion. Accompanied by a certificate of authenticity from the costume house.